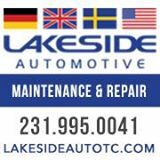 Lakeside Automotive is an auto parts, repair, and service company specializing in imports. Our factory trained technicians have more than 20 years of experience and are passionate about your vehicle. We specialize in all European makes and models like: BMW, Volvo, Mercedes, Audi, Land Rover, Porsche, Volkswagon, and Mini. Toyota, Honda, Lexus, Nissan, and Infiniti are always welcome. We can do anything from regular services to major repair. We have factory diagnostics equipment which allows us to perform dealer level tasks / services on the latest models.